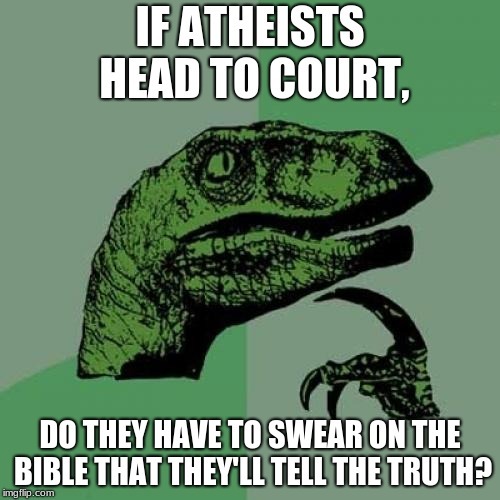 It's nice to see many people try to tell the Raptor wrong...but, it's just a philosophical question due to the Bible being the main thing you see in court when someone solemnly swears they won't lie in the courtroom. 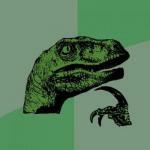 However, I like you all telling me how it all works. Thanks a ton, guys. While the 3 Stooges used this premise in one of their shorts, you do NOT have to swear on the bible: a simple, "I affirm to tell the truth" should be sufficient. To require the oath be sworn on the Bible is a violation of the first amendment. By all intents and purposes, it is actually a religious ceremony, and for the court to make it mandatory would be unconstitutional. 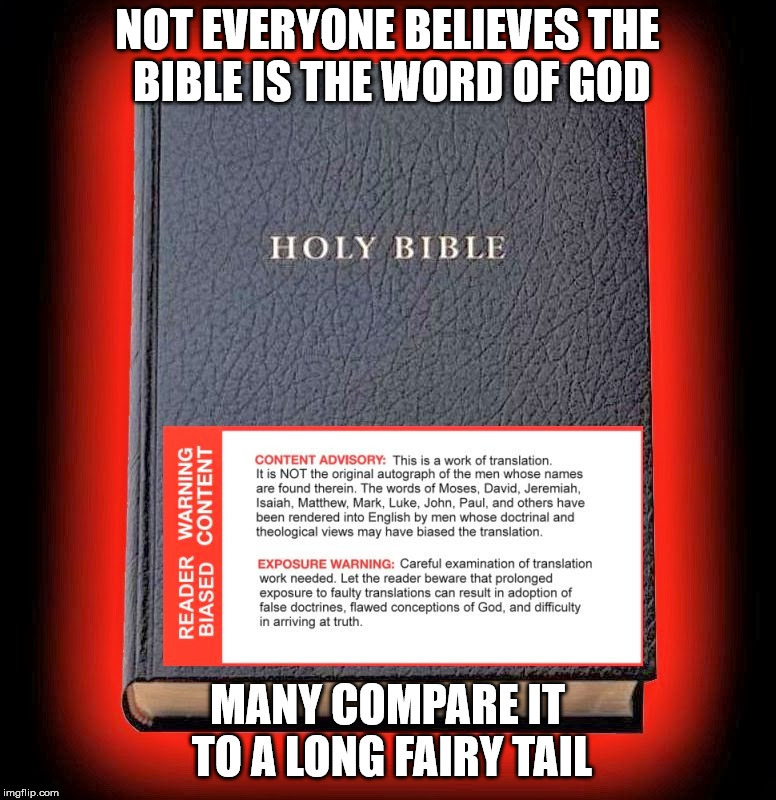 Likewise, Muslims, Buddhists,Taoists, and any number of other faiths do not use the Bible as their holy texts. Should a Jew give an oath on a Bible that contains the New Testament? Would a Catholic be okay with doing so on a Protestant Bible? I've been in court a few times over the years, and have never had to swear on a bible. The reason so many people believe you have to swear on a Bible is because it's Hollywood shorthand for someone to do so in trial scenes. Your question was a good one, not a stupid one. Knowledge is power. yes, so do moslems, jews and all others.. 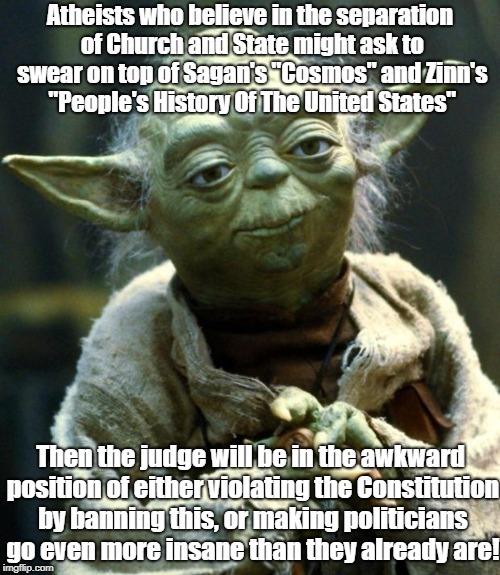 IF ATHEISTS HEAD TO COURT, DO THEY HAVE TO SWEAR ON THE BIBLE THAT THEY'LL TELL THE TRUTH?